Here’s a great article from our favorite menu design company, Hot Operator. The article teaches you how studies have shown your customers eyes to move across a one, two or three page menu and helps you decide where to place your top sellers. Proper menu item placement on a menu design can increase sales from 5-15% in my experience. For other great tools to help you manage your restaurant or food service, visit the O’Dell Restaurant Consulting webstore. Are Burger King’s “low” calorie FrankenFrys the way to appeal to a health conscious public? Burger King is banking on a new lower fat, lower calorie French fry to try and appeal to health conscious eaters. They are calling them “Satisfries”. While I applaud the thought, I’m not sure how a health conscious public is going to react to a processed “FrankenFry”. Health conscious people don’t normally seek out processed foods, however, there might be plenty of people out there more worried about ‘appearing to eat healthy’ than actually ‘eating healthy’. Personally, I would rather not eat a potato that has been mixed with special fillers just to make it absorb less oil. What do you think? Satisfries: Will Burger Kings low-calorie french fries revolutionize fast food? – Yahoo News. 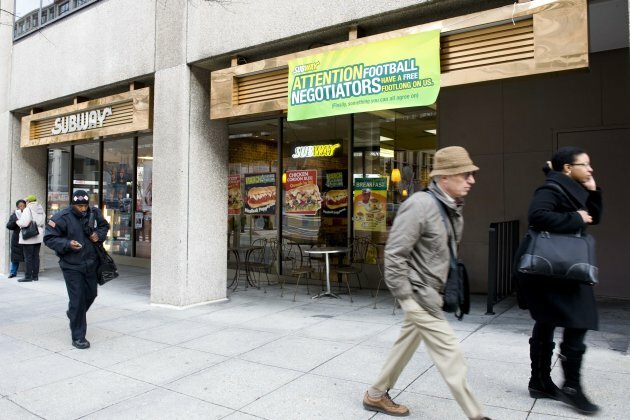 Here’s an article from Bloomberg on Subway’s fastest growing competitors in the profitable “sub sandwich” market. Better run sub shop chains can earn around a 30% profit margin, compared to an average 10% margin earned by fast food restaurants as a whole. Move Over, McDonalds: The 5 Fastest-Growing, Publicly Traded Fast Food Restaurants | Stocks | Minyanvilles Wall Street. This is an article discussing an important study recently published on the amount of calories Americans receive from restaurant food and beverages. It has been peer reviewed and is based on a large sample size and data from five consecutive years. This study completely dispells the myth that restaurants are to blame for America’s obesity issue as it proves that a much smaller portion of food or beverage calories are coming from restaurants than activists and regulators claim. Help us fight bad regulation based on bad science by getting this information out. Please share this article link.